Canada is known for its harsh winters: -40 degree weather, snow higher than your ankles and killer black ice. They can account for some tough driving conditions. 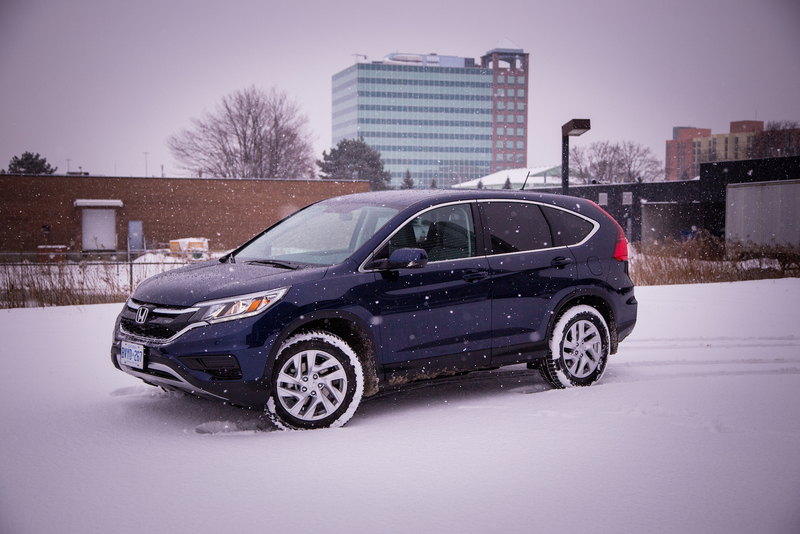 It was only fitting that we received our 2015 Honda CR-V during this time. 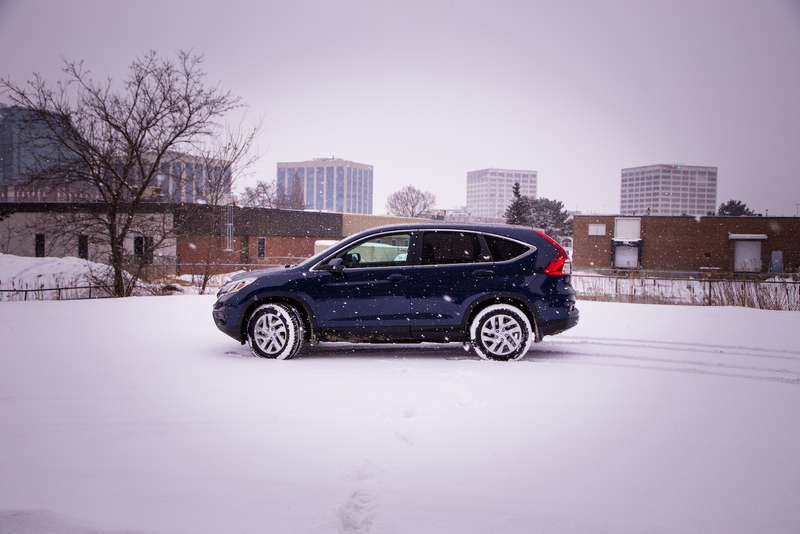 There’s just something about an SUV in the winter that just feels so empowering. 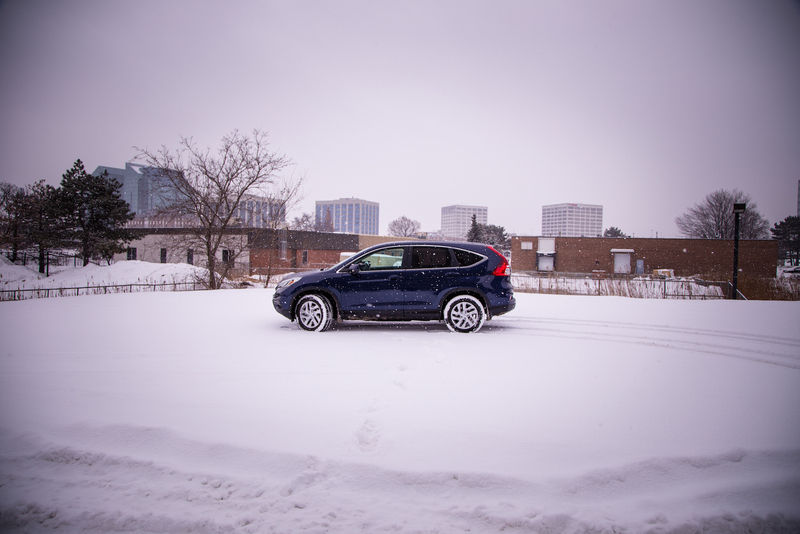 Plowing through a snow bank and not having to worry about ground clearance or briskly entering a parking ramp after a heavy snowfall, these are just some of the many advantages of owning an all-wheel drive 5-passenger family-hauling machine. It used to be that owning an SUV, you either had an underpowered wannabe with an identity crises or an all out gas-guzzling behemoth sitting in your second garage spot. 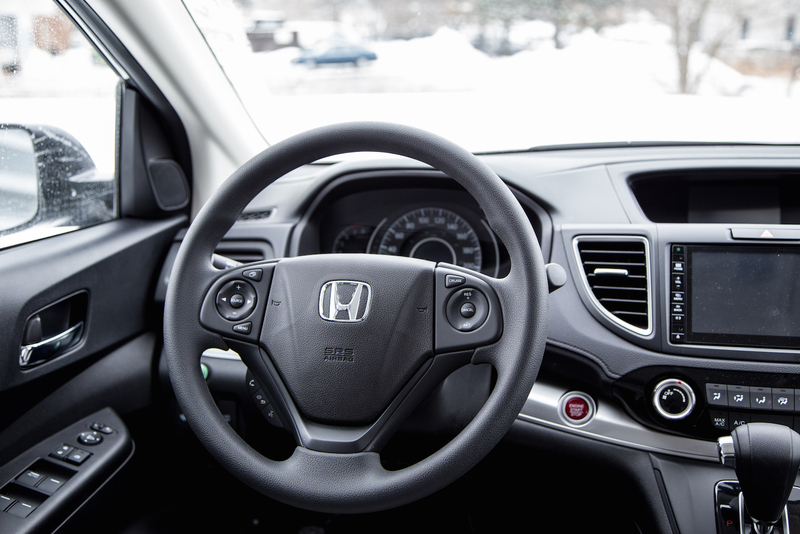 In recent years however manufacturers have had tremendous pressure to deliver both utility along with fuel efficiency - you can read all about that in our Honda FIT review. 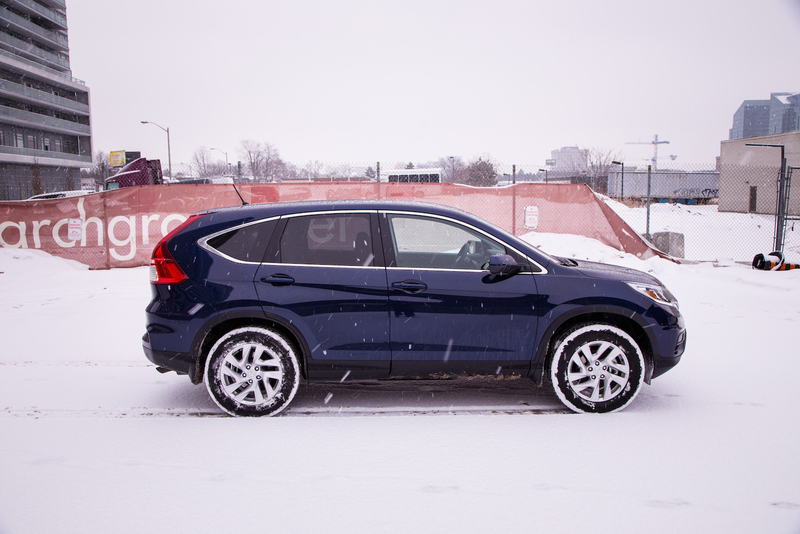 To us, the Honda CR-V has always been that SUV that got it right. So we were all smiles when the keys made their way into our pockets. 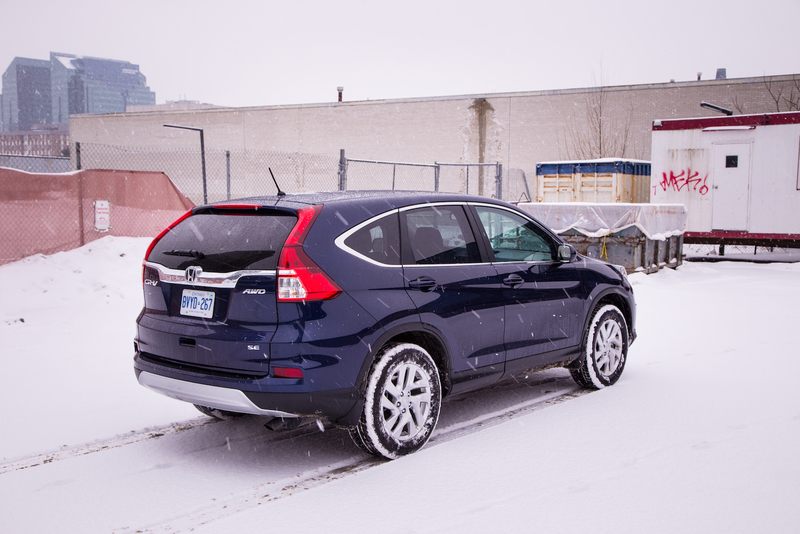 Our 2015 Honda CR-V SE is the middle of the pack trim and came well equipped. 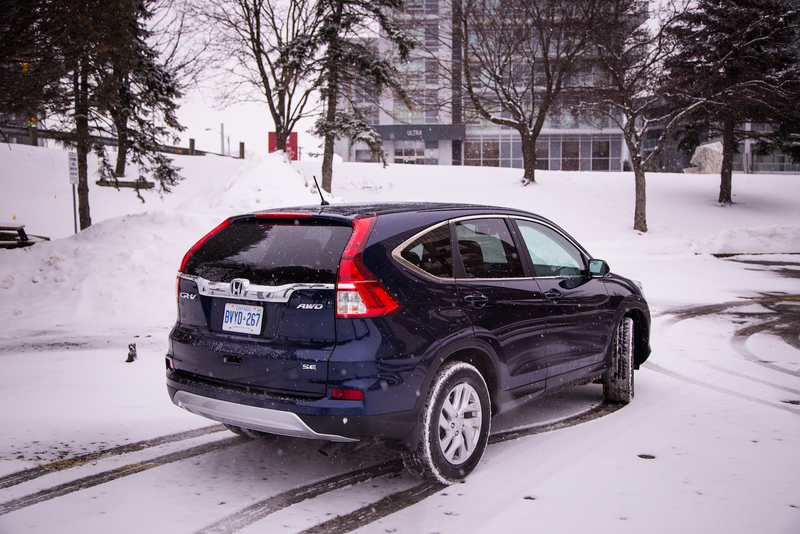 AWD comes standard (an option on the base model where 2WD is standard), as do heated seats, HondaLink display audio system, hands-free Bluetooth and a decent stereo. 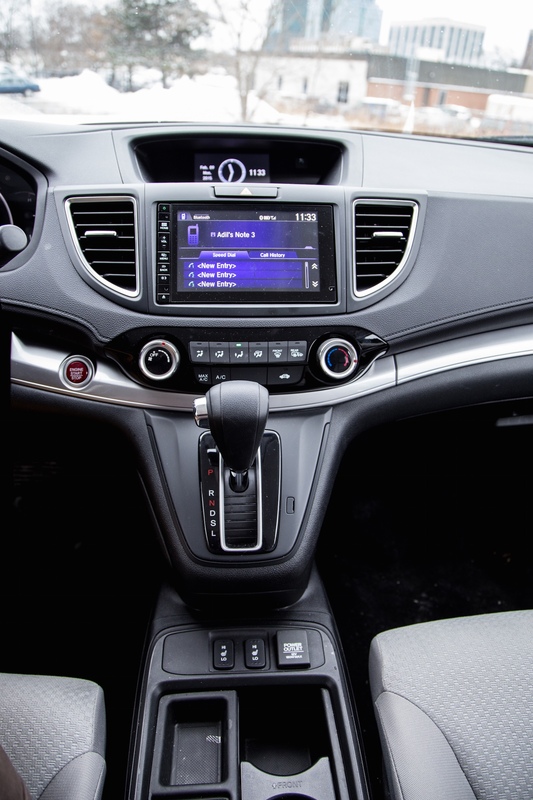 2015 is the first year for the 7-inch touch screen display to make it onto the Honda line up (we loved it in the FIT) and it’s here in the CR-V. Definitely a nice, refreshed, clean and organized package. 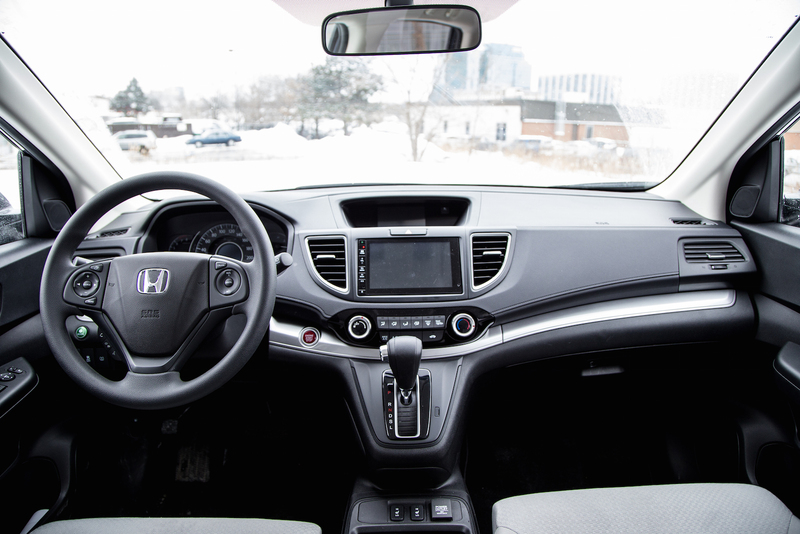 In fact, testing the Honda FIT and CR-V back to back, the interiors were pretty much identical and that’s a good thing. 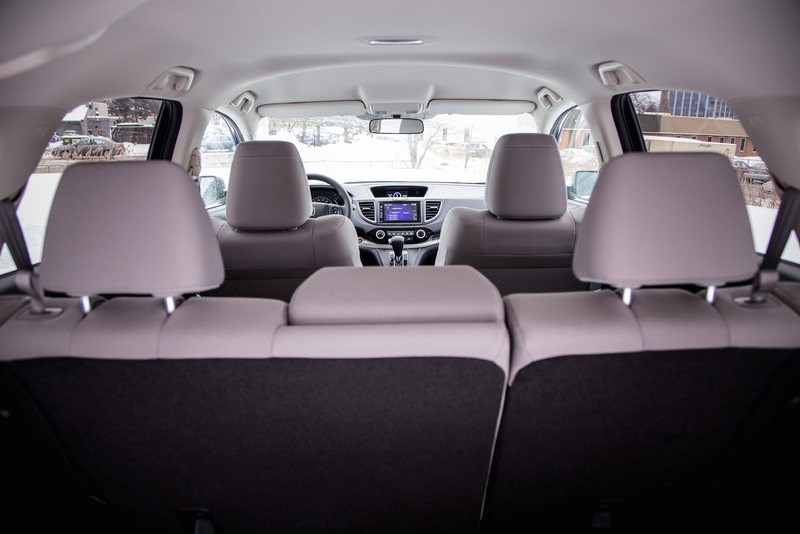 Headroom was plenty and rear seating capacity was great. 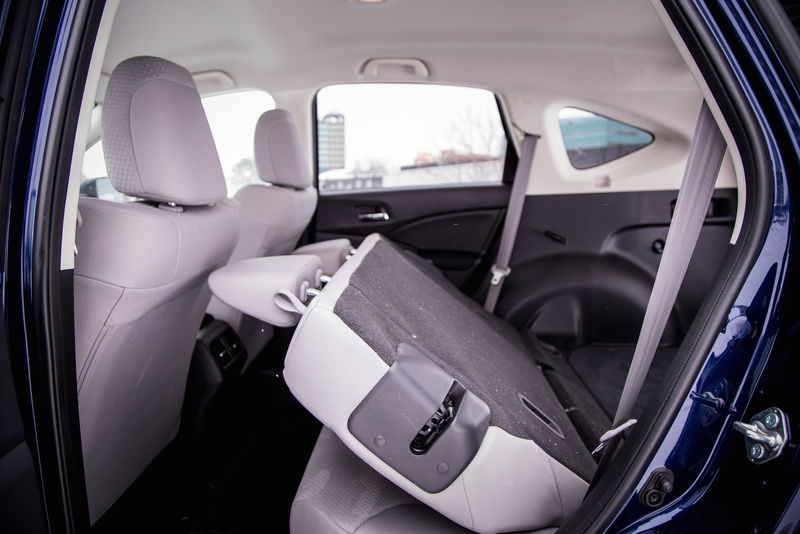 Cargo room was ample and is what you would expect with well over 1000 L at your disposal, a number that is doubled with the seats folded down. Exterior styling was also great with more of an evolutionary design refresh over last generation. 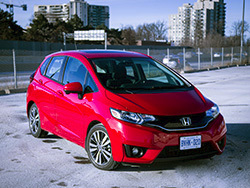 Staying with Honda’s trend for 2015 and one similar to the FIT, the majority of the changes were made up front with an all new front fascia and daytime running LEDs. Our initial driving impressions were fantastic. 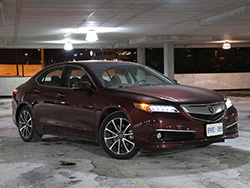 The 2.4L inline-four under the hood was good for 185 horsepower and 181lb-ft of torque. The best part was you don’t even realize that little inline-four is there. Put the foot down and this AWD puppy moves, making passing on the highway a breeze. Where you do realize it’s a four cylinder however is when you’re at the pump. 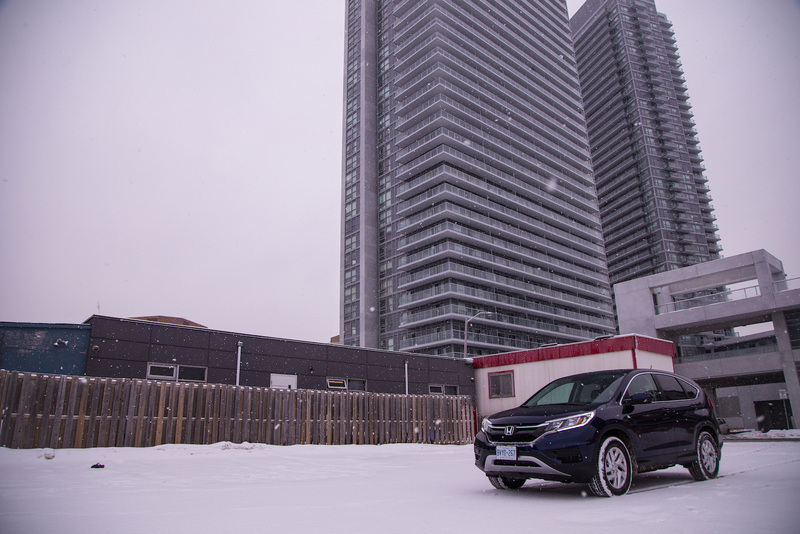 With spirited driving we managed 11.2 L/100km and that was with heaters full blast, heated seats on all week, average temperature of -25 and a mixture of highway and street driving - very impressive. 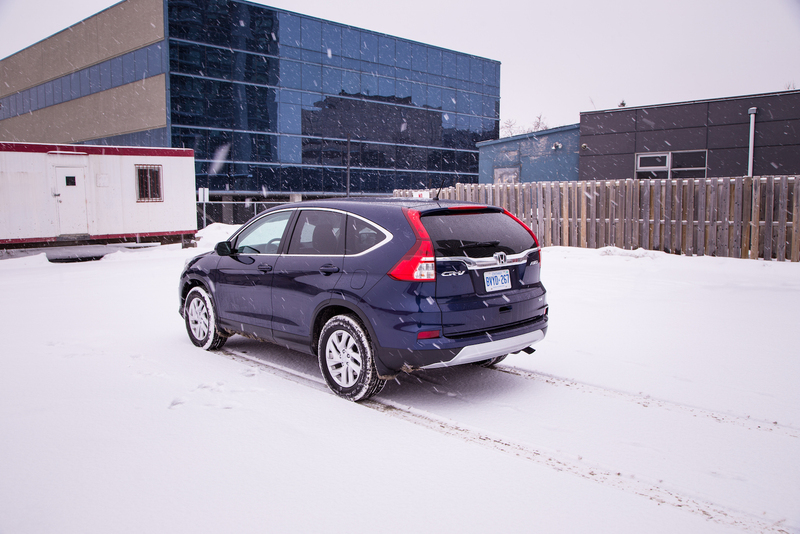 The AWD system on the CR-V is front-wheel biased, giving life to the rear wheels only when slip is detected up front. 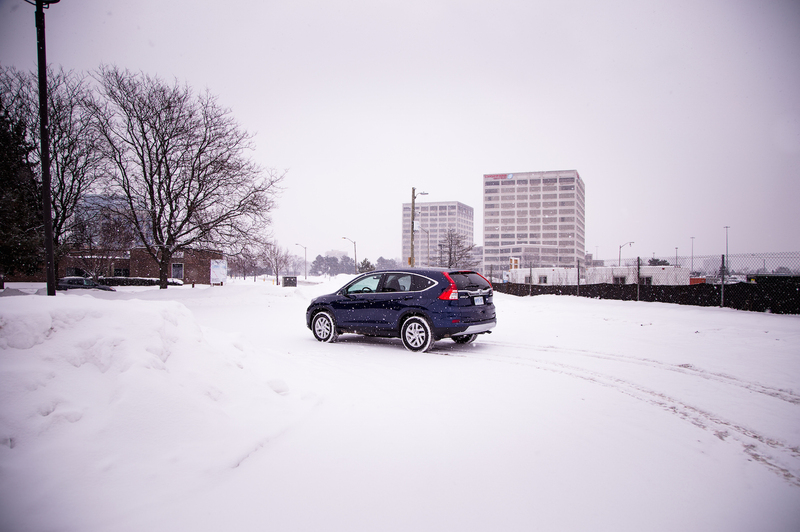 With four feet of snow and icy roads, we never had any loss of traction. 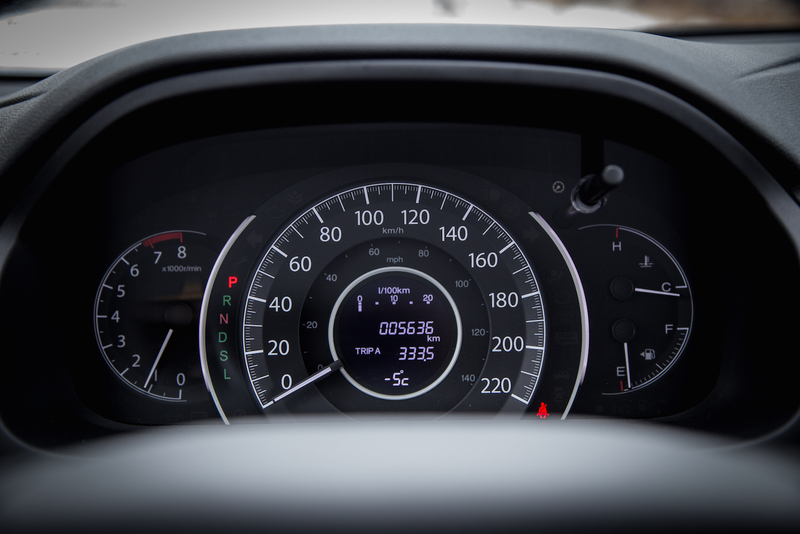 The all-new CVT transmission does an amazing job of keeping the power readily available at all times. We loved it in the FIT and the same carries here. Simply put, it does a beautiful job of keeping the power ready to go at your foot and there was little to complain about. Downshifts were quick with a firm press on the pedal, instantly guided to the engines sweet spot. The suspension was a bit firm and the steering was sharp and precise. 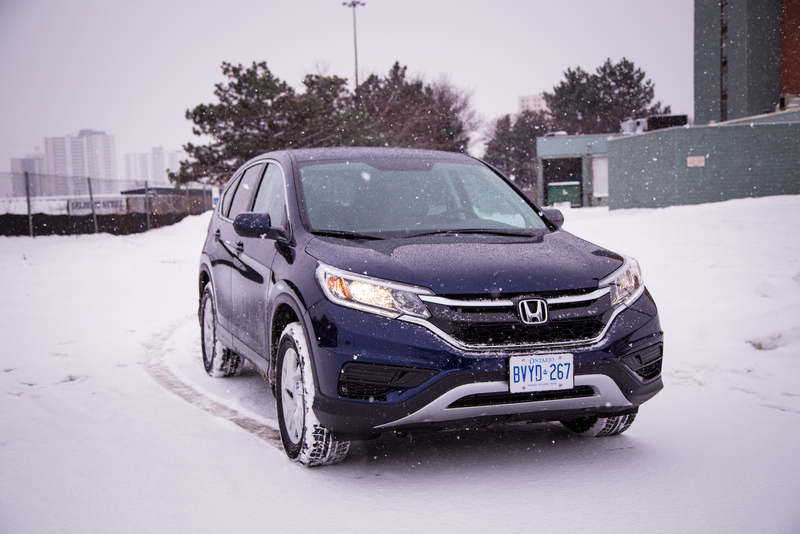 Besides the high seating position, the Honda CR-V felt easy and comfortable to drive, almost like you’re in a Civic - a great feeling when driving in tight city streets. But don’t be fooled. Thanks to increased cabin room over its predecessor, it’s still big enough to haul all your equipment around with space for passengers as well. 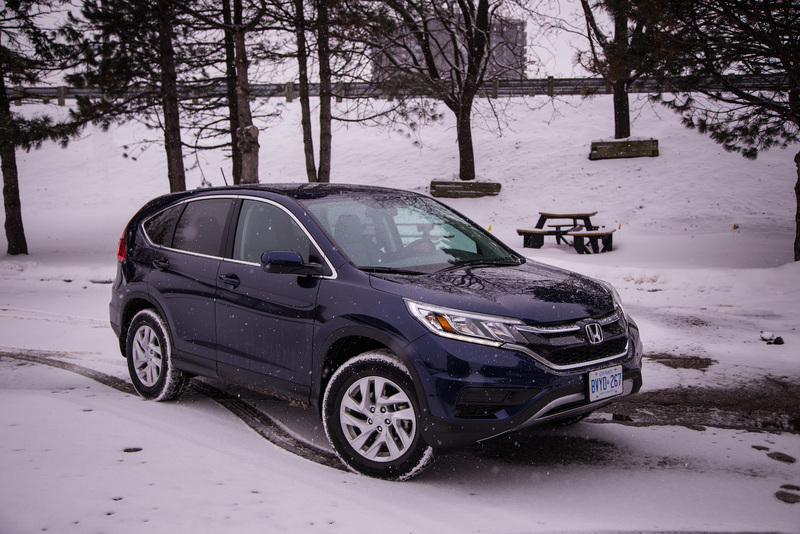 It’s hard to find a fault with the CR-V, heck it’s the one of the best selling SUVs in the world, that’s got to account for something right? 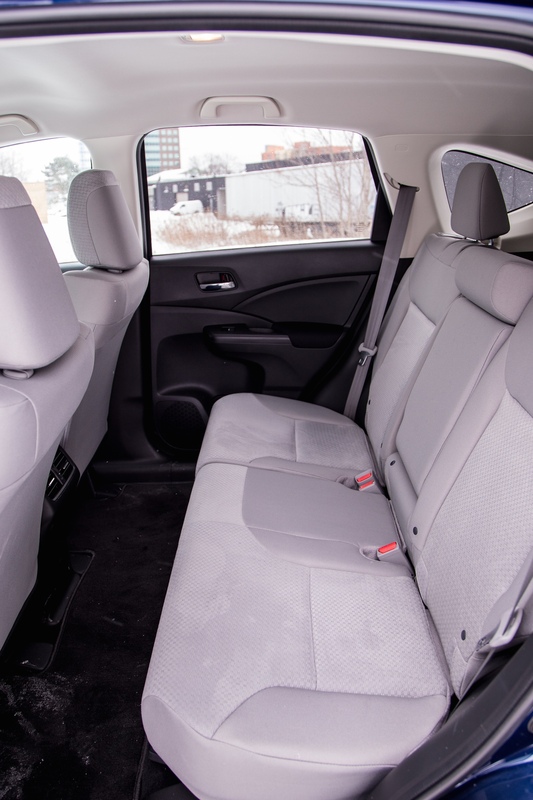 It looks great, and even comes well equipped in base trim starting at just $25,990. 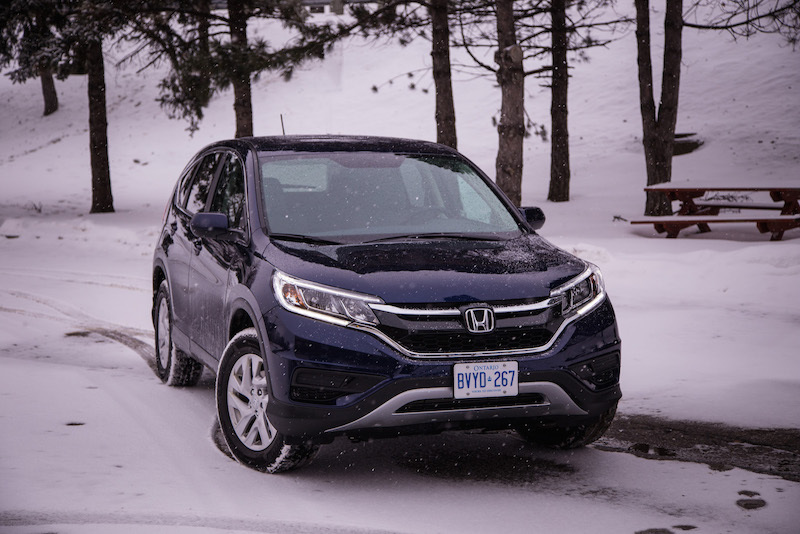 You also have a slew of options available such as Collision Mitigation Braking System, Lane Keep Assist System, Lane Departure Warning, Adaptive Cruise Control and Honda’s blind spot camera which keeps an eye out in case you forget. 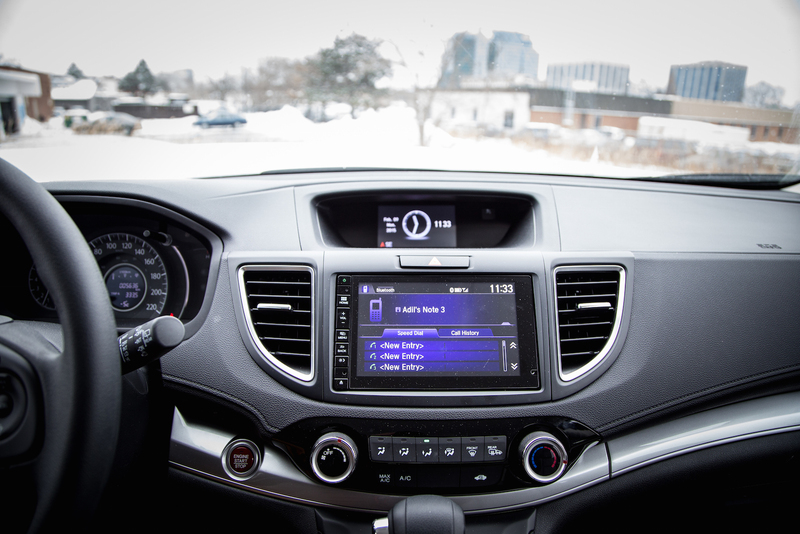 A 328-watt premium stereo with a subwoofer, satellite navigation, proximity key and push start ignition find their way into the CR-V, and the options don’t end there. 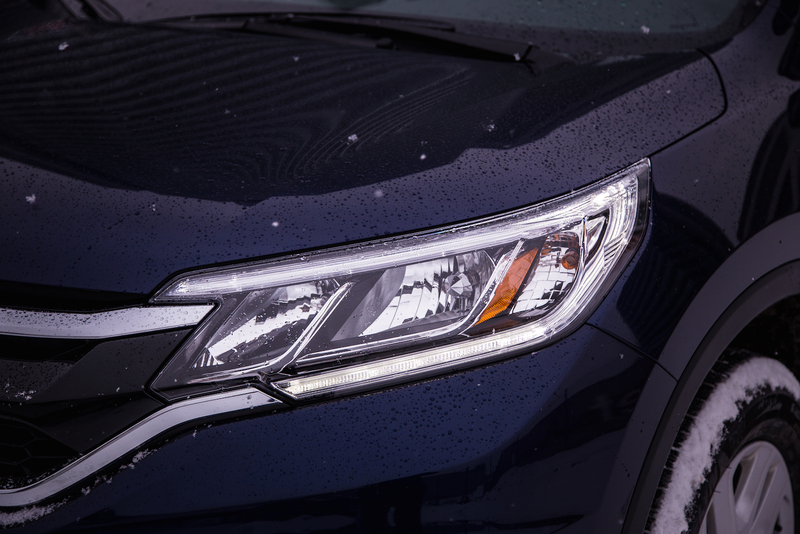 All bells and whistles come on the Touring trim, which has an estimated MSRP of $38,413. 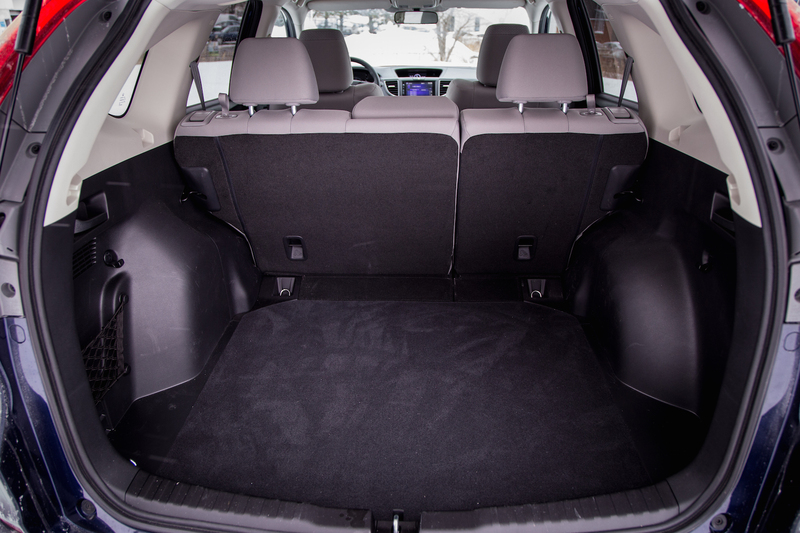 Many buyers will enjoy the endless ways to customize their vehicle while some might complain about there being too much. 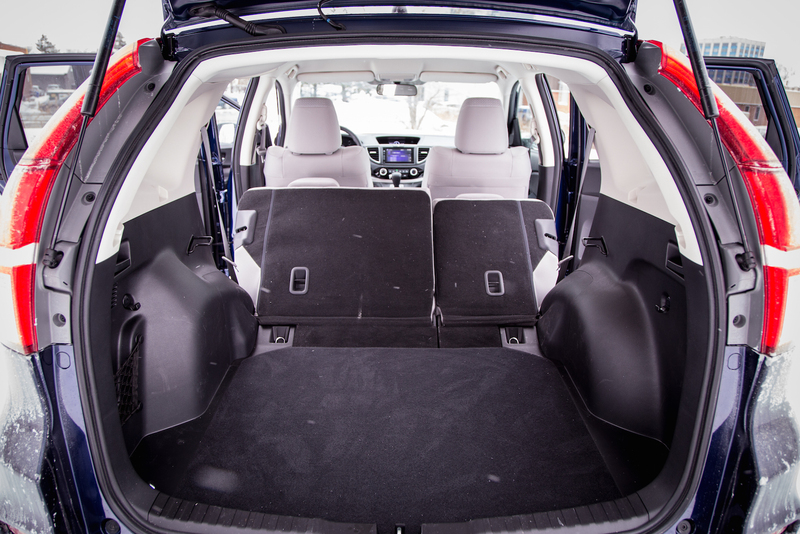 Others might just skip all the optional equipment altogether. 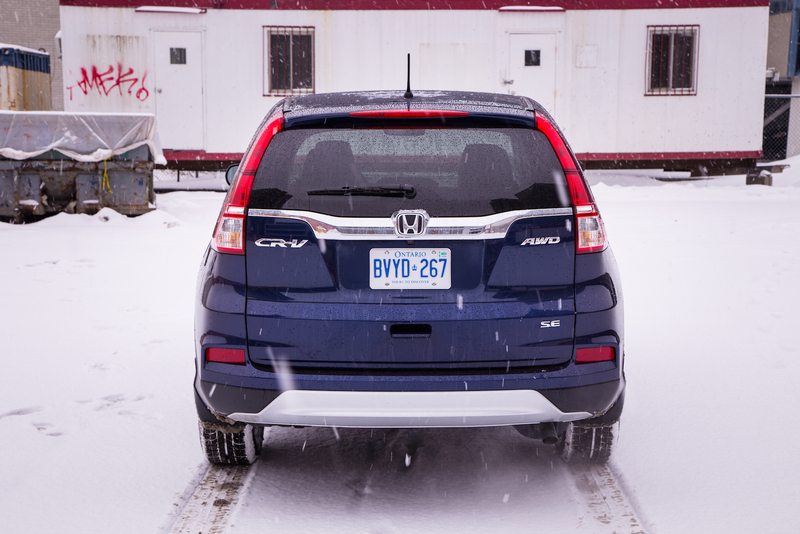 One thing is certain however, there’s definitely a CR-V out there for everyone. 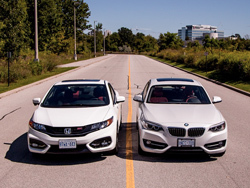 If you've got money on your mind, enjoy sitting high, having AWD and a big boot to match, then look no further.